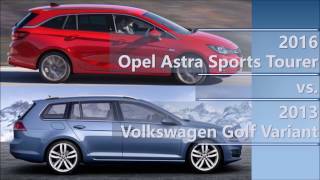 At the Frankfurt Motor show 2015, Opel introduced new five-door model, Opel Astra Sports Tourer 2016. The model is loaded with latest generation engines offering livelier ride. 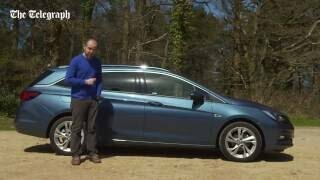 Not only this, the review of Opel Astra Sports Tourer 2016. So let us not delay and have a thorough go through at it, to find out all exciting features and facts about the model. 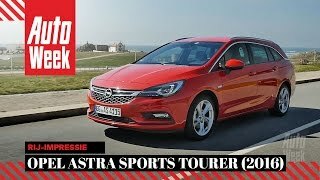 Talking about the interior of Opel Astra Sports Tourer 2016, the major highlight which I noticed is the Opel OnStar and the all new IntelliLink infotainment systems, offering you connectivity well in sync with the era. The interior apart from this has been created to offer safety and comfort to its buyers. Talking about the design, we would say it has an athletic styling that looks elegant and features a lean stance. Apart from these there are plenty of other features like the one fitted for the tailgate. You neither have to touch nor will have press any button on some remote. To open the tailgate you just have to take your leg beneath the bumper and sensors will open it however there is also a switch to serve the purpose close to driver and in the luggage compartment. Talking about the luggage compartment the space can further be extended by folding the rear seats and thus interior of Opel Astra Sports Tourer 2016 not only offers you comfort and technology but also has sufficient space to make your ride memorable. The exterior of Opel Astra Sports Tourer 2016 carries the same athletic appearance as found in interior. Carrying Opel’s design philosophy, model comes loaded with dynamic looks that feature a bold appearance and efficient lighting. Starting with the front fascia the double chrome bar grille sits affirm amidst the headlamps, which find themselves melting and merging in the radiator grille. Borrowing trend from its five-door sibling, model carries the dynamic lines across its body. Grabbing your eyeballs the sports tourer comes with an arched sloping roofline that gives it longer appearance. 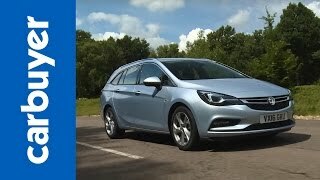 In all the exterior of Opel Astra Sports Tourer 2016 we would say it’s dynamic, elegant and sportive with its looks. 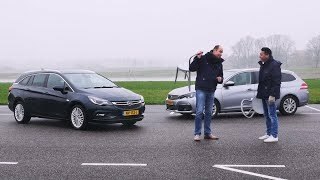 Beneath the hood of Opel Astra Sports Tourer 2016 will be diesel and gasoline engine with displacement ranging from 1.0 to 1.6 liters and power stat from 95 hp to 200 hp. Though not much has been disclosed in terms of power out of Opel Astra Sports Tourer but yes we do have any information and that links with the, top-of-the-range 1.6 liter ECOTEC Direct Injection Turbo generating total output of 200 hp and peak torque of 300 nm. Apart from this rest is still a secret, we hope to have it soon.